Referrals can be a business builder when curated effectively. It’s been said more than few times: In business, it’s all about who you know. 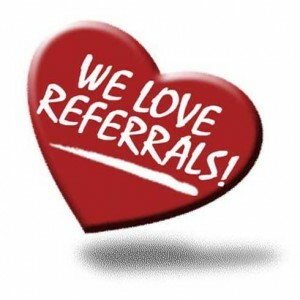 Nowhere is this more true than when it comes to the topic of referrals. The Indy Chamber is hosting a Referrals & Revenue marketing seminar in partnership with reachmore and hosted by Franklin University. Attendees can expect a step-by-step workshop on how to generate referrals and revenue. You may attend a lot of local events, but how do you get a return on your investment? How to “work a room” to find the contacts that will help you build your business. How to identify and create “win-win” partnerships. How to create a system that produces a consistent flow of new referrals. How to track and monetize your networking activity. Ask every client. Don’t simply assume that they’ll refer you to the other people they do business with. Ask every client if they know someone who could use your services. Explain the value it provides to them as well. Get the proper contact information. Referrals won’t do you any good if you can’t get a hold of people. If your client has to get back to you with that information, make sure you follow-up with them. Plan to make it a fun first meeting by meeting them for lunch or a golf outing. Are there any tips you’d add to this list? Let us know in the comments section.